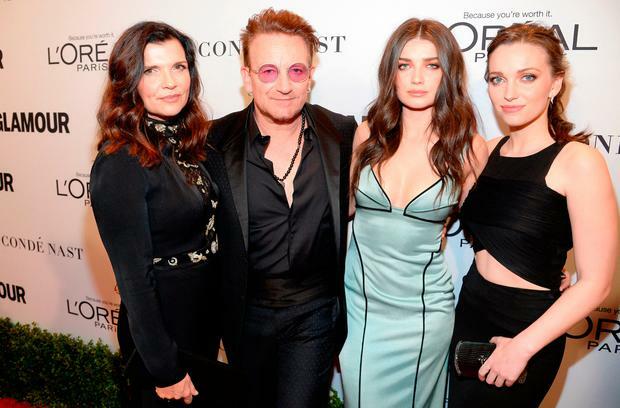 Jordan Hewson, the eldest daughter of Bono and Ali, has long since chosen a life similar to the humanitarian example set by her superstar parents, but has spent the last number of years forging her own path. Clearly inspired by her father’s non-profit organisations and her mother’s ethical fashion line Edun, the Columbia University graduate launched her own tech company Speakable in 2016, which promotes social activism. And her work has landed her a coveted spot alongside 33 other international trailblazers who feature in the September Issue of US Vogue. At 29, her CV, which includes an undergraduate degree in political science and a masters in creative writing from the Ivy League university and a stint as the founding editor of Global Citizen’s website, an organisation aiming to eradicate extreme poverty, is certainly impressive, and the world’s most popular fashion magazine has taken note. The magazine describes her as growing up in a “charitable household, with her parents serving as living examples that everyone – not just celebrities – can participate in philanthropy. Vogue is undergoing something of a make-under, as most Condé Nast titles around the world are, featuring more in-depth human interest stories to cater to women’s varied interests, while remaining a steadfast style bible at its core. Less than two years ago, Speakable launched its first product, an ‘action button’, which publishers can embed in their articles enticing readers to directly interact with the story, whether it’s through tweeting directly at a policymaker mentioned in the story, voting in a poll or donating to a charity. So far, it features on the Huffington Post, Vice and the Guardian. “It really can be a seamless part of your digital life and experience,” she said. While she acknowledged her father is a “good resource” in a previous interview, the U2 rocker doesn’t hold an official role in her company; instead, she has sought advice from Huffington Post co-founder Arianna Huffington and Uber co-founder Oscar Salazar.